This is the first of THREE posts I have for you today. Sunday is always the day for our Cupcake Inspirations Challenges and this Sunday is no exception. Today we are sponsored by Fresh Brewed which is a fantastic rubber stamp AND digi stamp company. Her spring designs are just adorable! I colored in this little teapot using Copic markers and added some light blue Stickles to the dots to make them a little fancier. 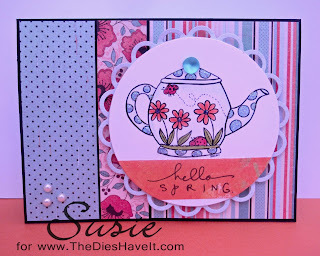 Before I cut out the image using a Spellbinders die, I stamped HELLO SPRING on a scrap and adhered it under the teapot. 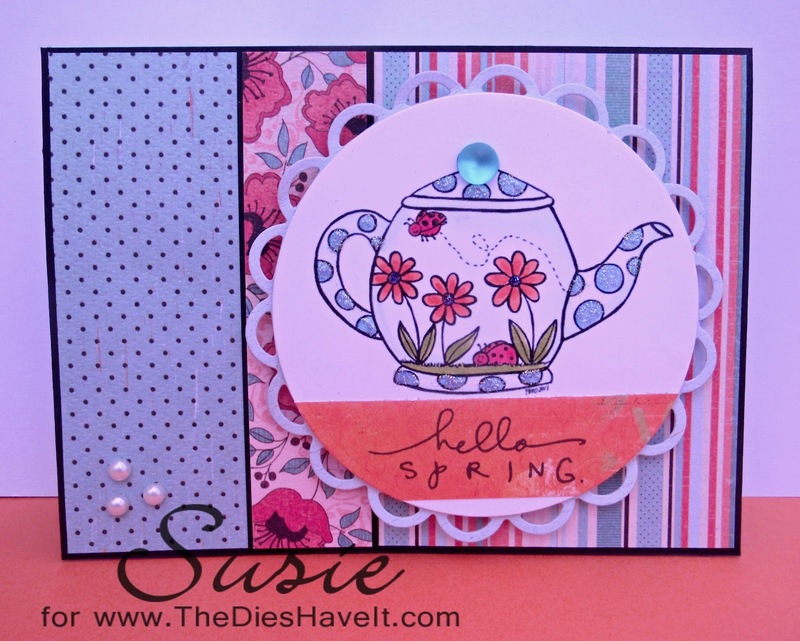 I also used a Spellbinders die for the scalloped mat. Now it's YOUR turn to make something using our inspiration photo and then add it to the others on the Cupcake Inspirations Challenge site. See you later this morning!